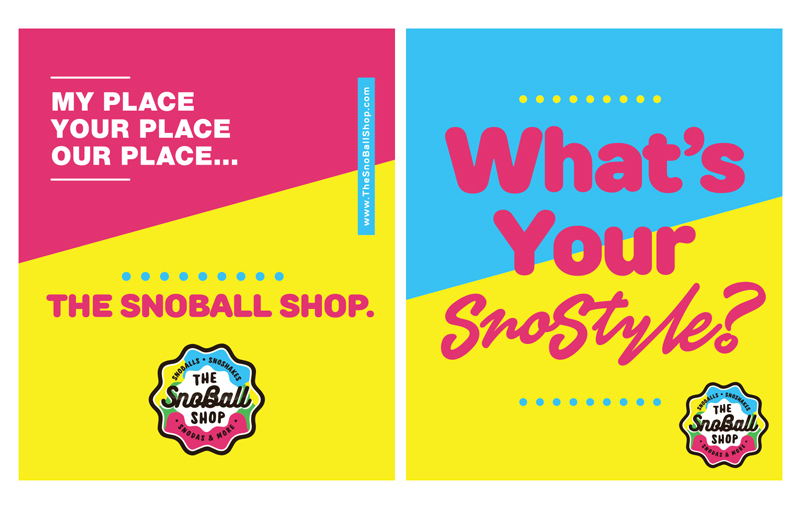 Brief // The Snoball Shop, formerly known as ‘Pelican’s Snoballs’, was in need of a total rebrand under it’s new name & management. 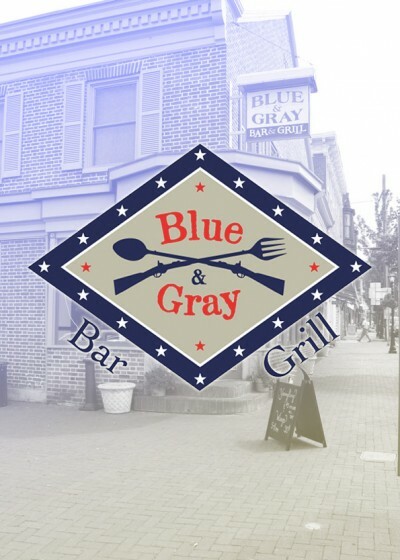 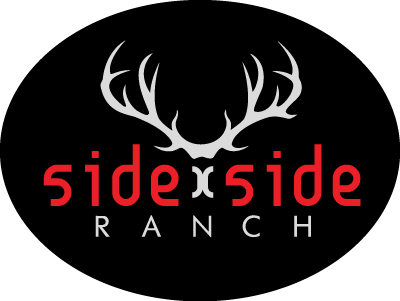 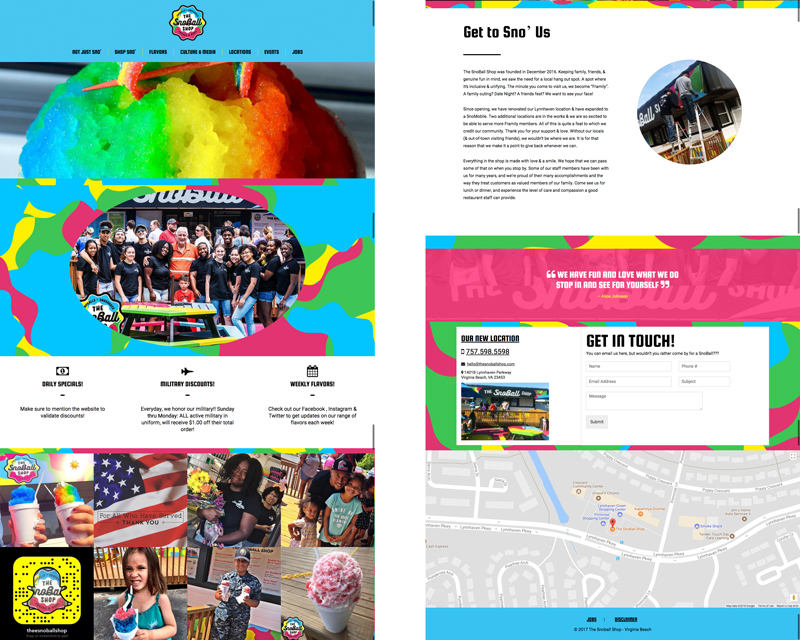 They specified they wanted the new logo to be bright, fun, eye-catching, colorful and impactful to reflect their brand values and family-friendly environment selling authentic craft snoballs. 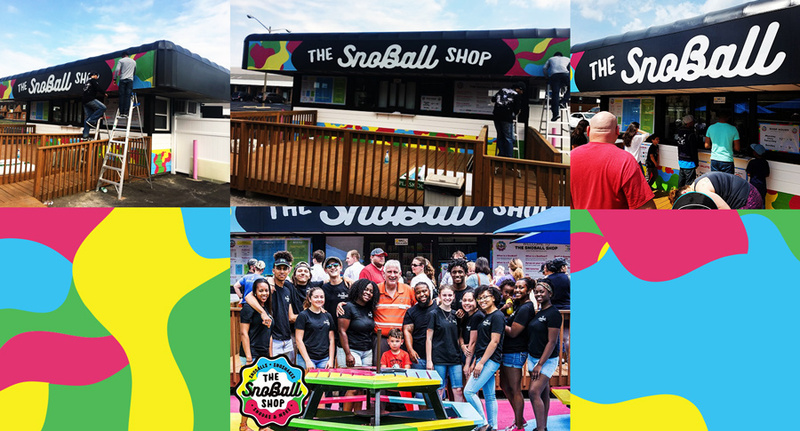 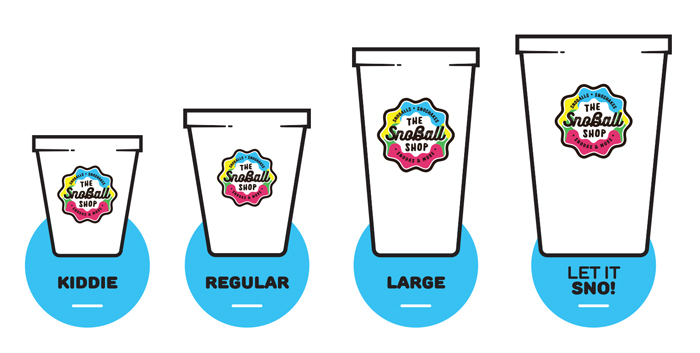 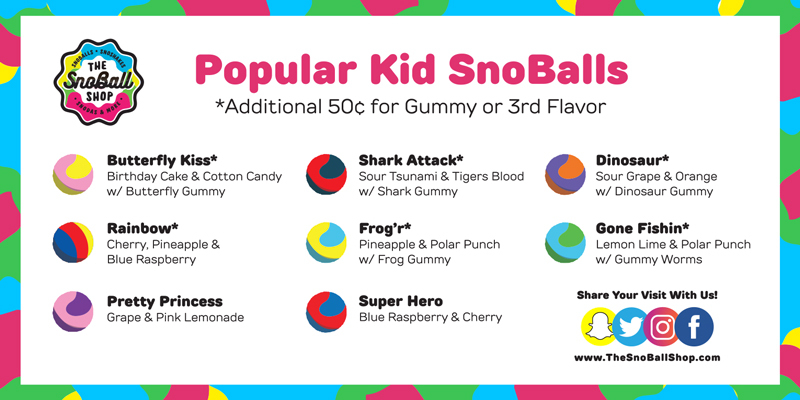 The Snoball Shop rebrand package included a new logo, multiple window menus, branded cups, a trailer wrap, website design and storefront redesign.